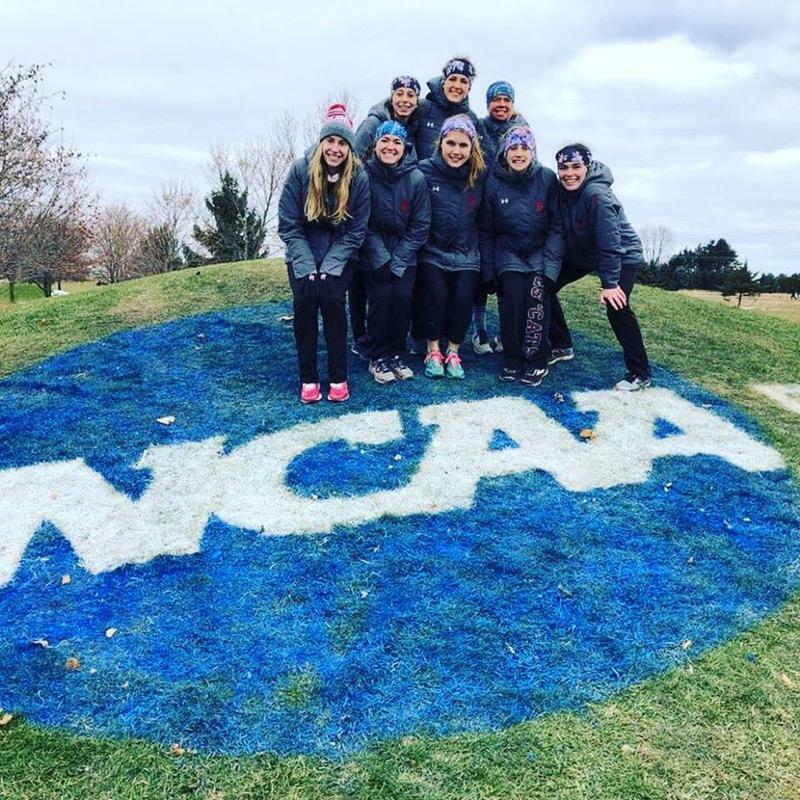 As most Bates students travelled home on Nov. 17th, the women’s cross country team was in Winneconne, Wis. competing in the Division III NCAA Championship. Here, they finished 17th out of field of 32 qualifying teams. This occasion represents the second time in the last three seasons that the Bates women have qualified for the national championship, with the team finishing 19th in 2016. The women’s cross country national team celebrates their 17th place finish posing for a photo above the NCAA logo at the Lake Breeze Golf Club. On top of a tremendous team performance, the day was further highlighted by an All-American finish from Katie Barker ’19, placing 34th in the nation with a time of 21:53 over the fast 6-kilometer course at the Lake Breeze Golf Club. To put this into perspective, Barker finished less than a minute behind the winner, and the difference between 34th and 24th was less than ten seconds. Furthermore, the gap from 34th to 44th was also ten seconds, just demonstrating the staunch competition that not just Barker, but the entire women’s team faced on the national stage. Ayden Eickhoff ’19 also had a outstanding race finishing in 124th with a time of 22:43, followed by Abby Hamilton ’21 (166th;23:00), Sarah Rothmann ’19 (170th;23:04), Olivia LaMarche ’20 (184; 23:10) and the displacers Wendy Memishian ’19 (247th; 23:49) and Tara Ellard ’22 (251; 23:57). As much as racing is individual, cross country really thrives off of the team aspect of running. Hamilton, Rothmann, and LaMarche all finished within ten seconds of each other as Bates’s third, fourth and fifth runners, an incredible achievement that solidified the women’s excellent team placement. It’s also worth noting that Memishian and Ellard also finished within just eight seconds of each other as Bates’s displacers, a testament to the depth of this group. Head coach Jay Hartshorn noted that qualifying in 2016 helped the team tremendously going into this year’s championship. “The biggest advantage that this team had is many of them had experience at the NCAA race. Katie, Sarah, and Olivia all raced at NCAAs in 2016 and Wendy travelled that year as the alternate. And while Ayden had never been to NCAAs for cross country before, she has been to four NCAA meets for track and field,” she said. That faith was really demonstrated throughout; by the first mile, the Bates women “were likely in last place,” according to Coach Hartshorn. But, as Barker mentioned, the team maintained its composure and trust, moving up steadily over the course of the race. By the 3-kilometer mark, halfway through the race, the team had moved from 32nd to 29th, and at the 5-kilometer, from 29th all the way up to 19th. In the end, Bates finished 17th overall. This finish represents the second highest placement that Bates has ever earned at the national meet and the best placement for Bates in a 32-team field national championship. This improves off of their most recent 2016 finish by two spots.